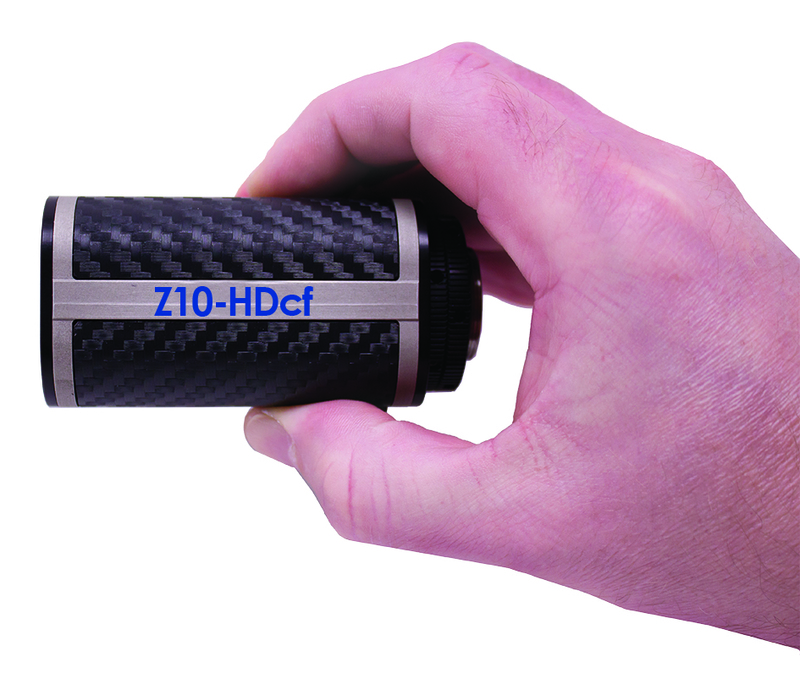 The Z10-HD zoom lens, from Resolve Optics Ltd, is designed for machine vision, broadcast TV and CCTV applications that require top quality high definition images. The motorised 10x HD zoom lens is typically less than half the size and much lighter than other comparable zoom lens. A novel design camera mount, that incorporates topside and back focus adjustment, enables the Z10-HD to be quickly and easily set-up on any 1/3-inch, 1/3-inch 3-chip and 2/3-inch format camera. The Z10-HD zoom lens has an unbeatable close focus of 450 mm that is enhanced through the use of low dispersion glass. The zoom and focus movements on the Z10-HD utilises floating cell technology to produce a smooth, light movement ensuring the best performance throughout the zoom range.